Republican Sen. Lindsey Graham, a top ally of President Donald Trump, expressed concerns on Wednesday that Trump's comments about withdrawing troops from Syria have emboldened terrorist groups like ISIS, and that he hopes Trump thinks "long and hard" about his next moves when it comes to withdrawing troops from the war torn country. "My concern by the statements made by President Trump is that you have set in motion enthusiasm by the enemy we are fighting," Graham said. "You make people we are trying to help wonder about us." A bomb blast on Wednesday in the northern Syrian city of Manbij, which killed American service members, comes less than a month after Trump announced that U.S. troops would withdraw from the country. Graham, who is the chairman of the Senate Judiciary Committee, interrupted a confirmation hearing for the nominee to be the next attorney general, William Barr, to make his sentiments known. Senate Judiciary Committee Chairman Lindsey Graham questions Attorney General nominee William Barr as he testifies during a Senate Judiciary Committee hearing on Capitol Hill in Washington, Jan. 15, 2019. Trump declared in a video released on Twitter last month: "We have won against ISIS. We've beaten them and we've beaten them badly. We've taken back the land and now it's time for our troops to come back home." "Anytime a president does something that people on the ground are rattled by, it usually comes back to bite us," Graham told reporters Wednesday. 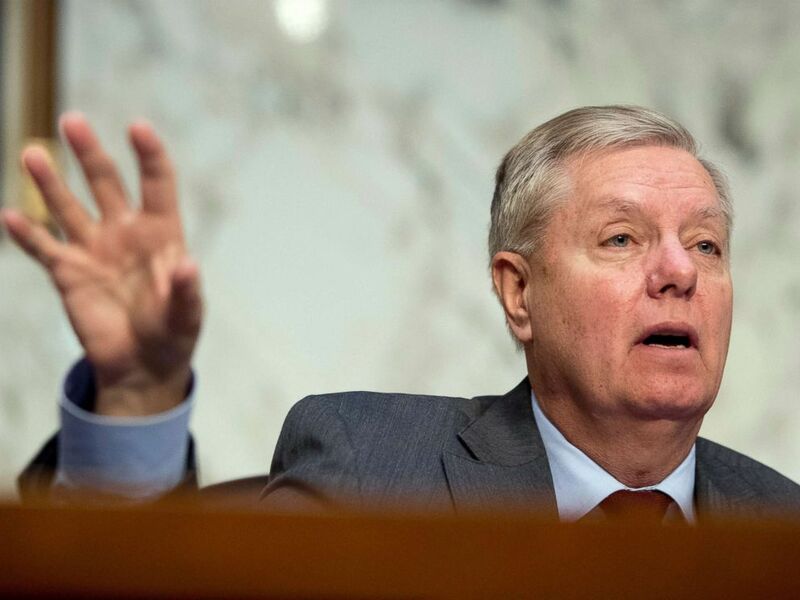 "When it got to be seen we’re going to withdrawing all of our forces, people went back to their corners and started hedging their bets," Graham said. Graham noted that if ISIS is behind the attack, it "shows they’re not defeated and they’ve been emboldened." Meanwhile, at least one Republican senator - Rand Paul of Kentucky - is commending the president. Paul said he met with Trump at the White House Wednesday to discuss Afghanistan and Syria. "I have never been prouder of President Donald Trump. In today’s meeting, he stood up for a strong America and steadfastly opposed foreign wars. Putting America First means declaring victory in Afghanistan and Syria. President Trump is delivering on his promises!" Paul said in a statement released on Wednesday. Vice President Mike Pence also issued a statement earlier in the day saying the U.S. has "crushed the ISIS caliphate" and devastated its capabilities. "President Trump and I condemn the terrorist attack in Syria that claimed American lives and our hearts are with the loved ones of the fallen. We honor their memory and we will never forget their service and sacrifice," Pence said. 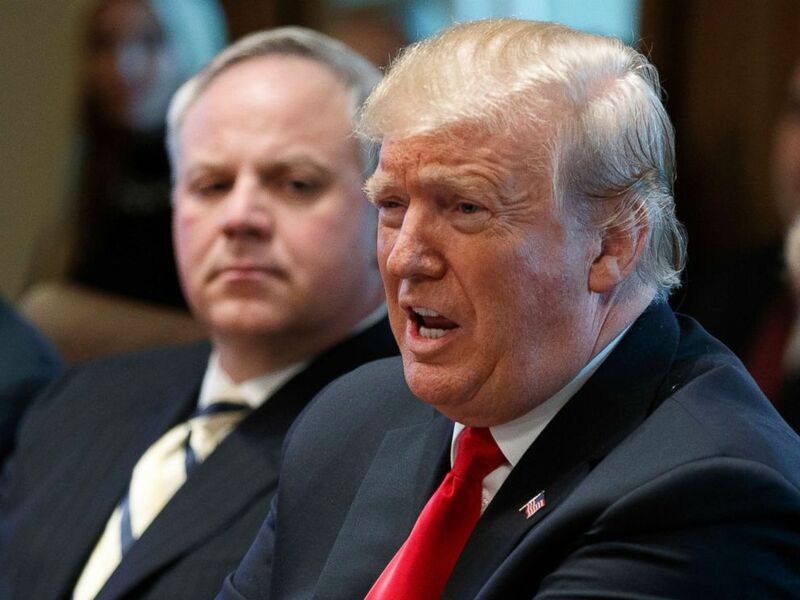 President Donald Trump speaks during a cabinet meeting at the White House in Washington. "Thanks to the courage of our Armed Forces, we have crushed the ISIS caliphate and devastated its capabilities. As we begin to bring our troops home, the American people can be assured, for the sake of our soldiers, their families, and our nation, we will never allow the remnants of ISIS to reestablish their evil and murderous caliphate – not now, not ever," Pence added. Democrats, while expressing their grief over the loss of American lives, ripped Trump for his lack of strategy in the region. "I think this tragic occurrence on the battlefield reflects how the United States has no strategy no plan and no real path forward," Sen. Richard Blumenthal, D-CT, told reporters Wednesday. "But the danger to our troops will only increase because of the haphazard and lack of strategy that we have in Syria. This rapid withdrawal without a plan a strategy puts our troops in danger," he said. The Senate’s top Democrat, Chuck Schumer, also blasted the president. "President Trump’s precipitous removal of our troops from Syria and his claim that ISIS has already been beaten we knew would not hold up. Today’s tragedy shows that’s just the case," Schumer told reporters.